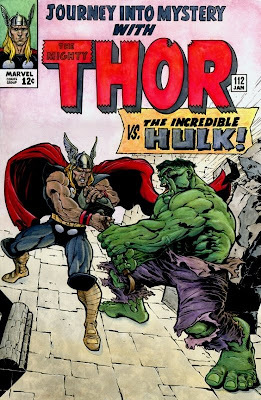 Posted May 21, 2009 in Brad Green, The Hulk, Thor. This re-creation of the cover to ‘Journey into Mystery’ #112 is by Brad Green, who resides in Ohio, U.S.A. For more of Brad’s artwork be sure to visit his deviantART page. Original cover by Jack Kirby here .